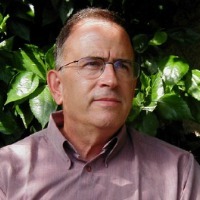 This week, Alpher discusses how critical Monday's meeting between Palestinian leader Mahmoud Abbas and US President Barack Obama is likely to be; why it took Obama and Kerry all this time to recognize just how far apart the two sides are; what the strategic ramifications of last week's firing of more than 70 rockets into Israel Islamic Jihad are; and what it means at the national level that last week, Israel's parliamentary opposition boycotted three key Knesset debates and votes regarding highly controversial measures of national importance. Q. On Monday, Palestinian leader Mahmoud Abbas (Abu Mazen) meets with US President Barack Obama. How critical is this meeting likely to be? A. Very critical. The meeting takes place against a backdrop of growing American recognition of the size and substance of the gaps separating Israel and the PLO in peace negotiations. With the original nine-month deadline approaching in late April and the fourth Israeli prisoner release scheduled for late March, Obama will be hard put to find a formula for further talks that enables the prisoner release to go forward and keeps Abbas in the talks beyond April. Abbas vehemently rejects aspects of the emerging US framework agreement such as recognition of Israel as a Jewish state. He recently recruited Arab League backing for this stance. And he continues to insist on additional components that Washington knows Israel rejects such as a Palestinian capital in all of Arab East Jerusalem and a temporary international force rather than an Israeli security presence in the Jordan Valley. Abbas insists he will abandon the talks after the nine month period he originally agreed to, and intends to revert to an "international" strategy involving UN recognition of a Palestinian state and a far-reaching anti-Israel boycott campaign. Obama and Secretary of State John Kerry may be hoping to offer Abbas incentives such as a partial settlement freeze or additional Israeli prisoner releases to persuade him to stick with the talks through 2014. Q. Why did it take Obama and especially Kerry all this time to recognize just how far apart the two sides are? A. This is a very appropriate question. But it has to be rephrased. That Kerry is finally dropping his pose of optimism was evident last week in remarks he made to Congress. "You know," he said, "the level of mistrust is as large as any level of mistrust I’ve ever seen. On both sides. Neither believes the other is really serious." He also called into question Israel's insistence on recognition as a Jewish state: "I think it's a mistake for some people to be raising it again and again". Yet the Obama administration has consistently endorsed the Jewish-state demand --meaning that Kerry's statement reflects his apparent late understanding of what so many observers of Palestinian ideology and political culture had repeated warned: that the Israeli and US position he had cultivated on this issue is a deal-breaker with the Palestinians. Kerry has been scaling back his expectations regarding the peace process he initiated ever since it began. Initially he declared that he expected to reach a two-state solution within nine months. Once into the process, the nine-month goal became not a solution but an agreed declaration of principles. Then the declaration of principles was to be acknowledged even if not agreed. Now the objective is merely to keep the parties talking beyond nine months. So the real question, or rather questions that have to be posed are: Why did Kerry and his team elect to replicate a negotiating format--the Oslo "menu" of final-status issues-- that has failed repeatedly over the past 20 years? Why didn't they analyze the reasons for this failure with a view to managing the revived peace process in accordance with a paradigm different from that of Oslo, one that factors in lessons learned? And were they not aware that they were dealing with two leaders, Netanyahu and Abbas, both of whom labor under extreme political and ideological constraints? The "level of mistrust" mentioned by Kerry last week has been there from the start. Why didn't he see it? Sadly, we seem to have reached a point where extension of the process beyond nine months is really just a metaphor for maintaining a status quo of relative quiet in which each side avoids spectacular unilateral initiatives. That's better than nothing. But how long can it be prolonged? Q. Relative quiet? Last week Islamic Jihad fired more than 70 rockets into Israel, signaling both the fragility of any "ceasefire" with Gaza and a growing change in the balance of power within the Strip. What are the strategic ramifications? A. First and foremost, in the Palestinian context last week's violence was a signal that Gaza and the West Bank are farther than ever from the kind of mutual understanding that could help a unified Palestinian polity facilitate a peace process and a two-state solution. Not only have endless attempts at a Fateh-Hamas (i.e., West Bank-Gaza Strip) rapprochement failed; now Hamas is losing ground inside Gaza to more extreme Islamist elements like Islamist Jihad that can apparently act with impunity against Israel even as Hamas avoids a fight. Seen in the context of the Israeli-Palestinian peace process, Gaza appears increasingly to be a separate political entity from the West Bank that follows different geostrategic rules--yet another issue that Kerry apparently didn't factor into his peace process. This was the most serious flare-up of Gaza-related violence since November 2012. Conceivably, Islamist Jihad was seeking to embarrass Mahmoud Abbas on the eve of his meeting with President Obama. On the other hand, this latest episode in and around Gaza seemingly points to the advantages for Israel and Hamas of dealing directly with one another, and soon, before Hamas loses out in the Strip to more extremist Islamists. Last week's rocket attacks and extensive Israeli retaliatory actions were triggered by an Israeli air strike that killed a three-man Islamist Jihad mortar team that was in the act of firing into Israel. Interestingly, the fighting that followed left no dead and few wounded on either side. As long as one side did not draw more blood, neither did the other, with rockets from Gaza frequently aimed at uninhabited ground in Israel and the Israel Air Force deliberately striking back at unmanned targets in Gaza ("real estate bombings"). This is not a new phenomenon; it points to the occasional existence of certain "rules of the game" between Israel and its Islamist neighbors, even as the latter become more extreme. Ultimately, both Egypt and Hamas brokered a ceasefire--another interesting twist of the rules of the game. Q. Last week, Israel's parliamentary opposition boycotted three key Knesset debates and votes regarding highly controversial measures of national importance. What does this extraordinary tactic mean at the national level? A. The Likud-led coalition rammed final votes on three bills through the Knesset: a "governance law" sponsored by Yisrael Beitenu that raises the electoral threshold to 3.25 percent, meaning four mandates; the law to draft the ultra-orthodox--the "flagship" of Yesh Atid; and a law requiring that withdrawal from East Jerusalem or the Golan Heights needs public approval by referendum--sponsored by the Jewish Home settler party. Each bill was sponsored by a different coalition member; each had its detractors within the coalition. The Likud coalition leadership, fearing lest the failure to pass one or more of the three bills cause a coalition crisis, grouped them together, signed every coalition MK on a commitment to vote for all three, and invoked its parliamentary majority to quash debate and silence opposition objections. The opposition's response was to boycott the entire debate and vote, deeming the coalition's behavior undemocratic. The measures, of course, passed by votes like 67-to-zero. One outcome was to leave a parliamentary legacy of thuggish behavior on the part of the coalition--the kind of behavior we have come to associate with the far right-wing parties and factions. As for the substance of the new measures, in the peace process context the vote makes it more difficult to install a Palestinian capital in East Jerusalem. And by squeezing out Arab parties that barely garner three mandates in elections, last week's measures could radically reduce Israel Arab representation in the Knesset. That's what the sponsor of the bill, Foreign Minister Avigdor Lieberman, apparently hoped to achieve. Unless, of course, his measure backfires and forces the Arab parties to unite--a difficult task insofar as the three Arab parties really are quite distinct. Were this to happen it could conceivably, and inadvertently, create for the first time a large Arab party that could become a genuine "player" in Israeli parliamentary politics. But the boycott of last week's votes produced another significant phenomenon: recently-elected Labor Party chief Isaac Herzog came into his own as leader of the parliamentary opposition. By persuading the ultra-orthodox and Arab parties, along with Meretz, to join him in the Knesset walkout, and by delivering an unprecedented attack on the government in the presence of a foreign guest, British PM David Cameron, Herzog emerged for the first time as a feisty future challenger to Netanyahu for national leadership. The Knesset boycott was over the coalition's strong-arm tactics. But it also enabled Herzog to avoid issues of party discipline and opposition solidarity regarding the specifics of the three measures. Some Laborites undoubtedly support equal burden-sharing for the ultra-orthodox. Some might favor a threshold election measure that could conceivably even force Meretz to merge with Labor next election. How Herzog now manages his newly-reinforced leadership status with allies like the non-Zionist ultra-orthodox and the anti-Zionist Arab parties is a radically different issue.